Glenn is Advanced Markets Director at Baystate Financial, an office of MetLife, one of New England’s oldest and largest privately owned financial services firms. There he works with moderate and high net worth individuals advising on strategies to improve their financial futures. Glenn has earned the Chartered Financial Consultant (ChFC) and Chartered Life Underwriter (CLU) designations. He is a member of The Association for Advanced Life Underwriting - a national organization devoted to advanced business, personal, and financial planning - where he has been a featured speaker at several annual meetings. He is also a member of the Financial Planning Association. He is a past member of the Board of Directors for the General Agents and Managers Association, a global financial services association. Glenn is a 1970 graduate of Rutgers University and served in the United States Army for two years. He started his financial services career in East Orange, New Jersey in 1972. 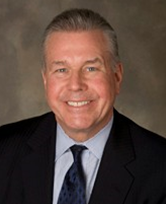 In 1976, Glenn moved to New York and started the Westchester Financial Group and Westchester Pension Consultants with offices in Tarrytown, NY and New York City. In 1990, Glenn moved to Boston, joined New England Financial, and formed Strategic Financial Partners, a multifaceted financial services organization. In 2011, he merged his firm with Baystate Financial. Glenn is an active volunteer, having served on several local and national boards. He is a member of the Board of Overseers of Rutgers University, where he is involved with fundraising. He also served as the Sudbury, MA Representative to the Minuteman (Lexington, MA) School Committee and was the President of his church for 6 years.